Vineyard Missions connects and equips Vineyard USA churches to participate in the mission of God across cultures. 1. We serve Vineyard USA churches by interacting with interested individuals and organizations internationally, organizing various volunteer groups (e.g., the Missions Leadership Team and country partnerships), and reporting back to the churches on the development of church planting efforts internationally. 2. We provide capacity building in cross-cultural skills, assist with cross-cultural leadership development, and scaffold churches' care of their long-term, cross-cultural workers, including providing expertise in crises. Through our efforts we also acknowledge that every church belonging to the Vineyard USA community is an individual local congregation with responsibility for its own missional efforts and decisions while interdependently working in connection with other churches around the world. Mark Fields currently serves as the Director of Global & Intercultural Ministry for Vineyard USA. Prior to assuming his current position, he was the Senior Pastor of the Vineyard Community Church in Pomona, California, for more than twenty years. Mark is a lifelong learner and attended Fuller Seminary as well as the London School of Theology. He has traveled and ministered extensively around the world. Mark and his wife Karen have been married for nearly forty years, are the parents of three adult children, have a growing number of grandchildren, and reside in Southern California. Rich Andrews first met the Vineyard 20 years ago at the opening service of a new Vineyard plant in the Philadelphia area. At the time, Rich was a student at the University of Pennsylvania, where he received a Master’s degree in education. Rich then completed Vineyard Institute and became an associate pastor at that church plant now known as Blue Route Vineyard. After seven years as a pastor, Rich and his wife Jess, along with their four children, and a handful of people went out in 2014 and planted the Conshohocken Vineyard, just west of Philadelphia. Since 2009, Rich also has been leading the Vineyard Bolivia Partnership. He has a vision to see healthy Vineyard churches planted throughout South America, where he travels regularly to encourage church planters, train pastors, and equip leaders. In his spare time, Rich can be found working out at the CrossFit box, eating healthy food, and unhealthy food, or hanging out with his family. Roy has been the Senior Pastor of Mountain Vineyard Christian Fellowship in Covington, Washington for over 30 years. He has been serving as representative of the Missions Leader Team in the Northwest region and is part of the Leadership Team of the Vineyard Northwest Region. Roy and his wife, Gail have been married 40 years. They have 5 children and 6 grandchildren. They have past missions experience in the Dominican Republic, Alaska, the Amazon, and Mexico. Currently, they are serving the Partnerships in Nicaragua and Indonesia. Roy graduated from the University of Puget Sound and received his Masters of Divinity from Trinity Evangelical Divinity School in 1976 and was ordained by 1977. In 2010, Roy completed his Doctorate in Global Urban Transformational Leadership through Bakke Graduate University in Seattle. Roy is a Specialist with Vineyard Missions USA working on a new initiative to encourage healthy Partnerships. 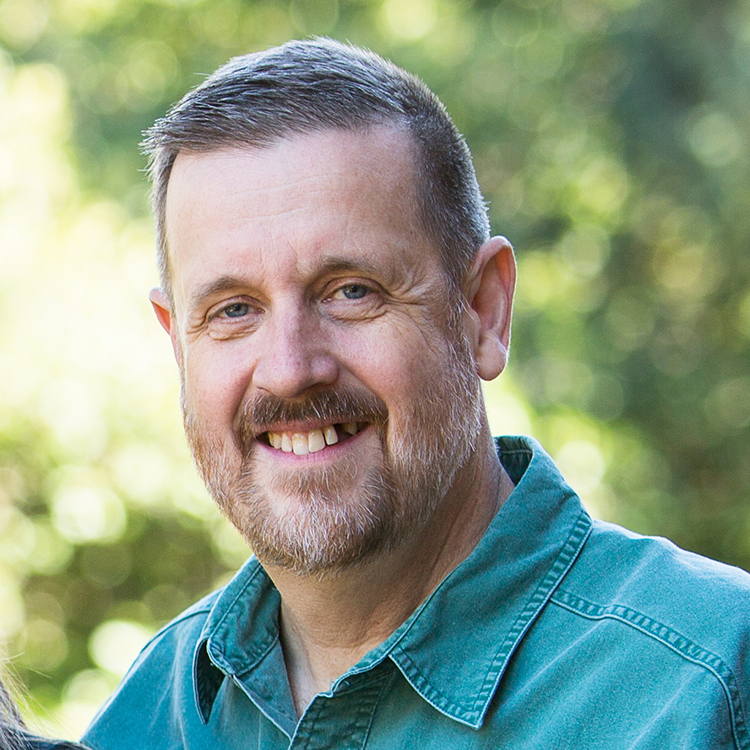 Darrell has served as the Pastor of Oasis Vineyard Church in Salt Lake City, Utah since 1985. He has also been serving as the APCL and Missions Task Force representative for the Greater Rocky Mountains region. Darrell has a BA in Ministry and is currently working with the churches in Mexico and Cambodia. He is a trained coach, and as Coordinator for Coaching, he is working with Bob Logan of Logan Leadership to build a team of coaches to support the missions leadership within the Vineyard movement. Craig has lived, traveled and worked in Europe, Asia, and the Middle East since the early 1980s. Through his varied roles, he has led thousands in both the Vineyard and in the Military. Formerly, he pastored a Vineyard church in southern California for ten years, served as the Western Regional Coordinator and on the Vineyard USA National Board. Craig has passion and experience in leading and mentoring people and organizations to assist them in reaching their objectives. He recently retired from the Navy as a Captain having served 35 years. He has Masters degrees both from Fuller Seminary and the United States Naval Postgraduate School. He is currently a doctoral student in the PhD program in Leadership Studies at the University of San Diego. Bill and Cheryll Hanawalt serve as teaching pastors at the Evanston Vineyard and were part of the original team with Steve Nicholson that planted the church in 1976. They have been married for 43 years and have 3 adult sons. They have worked together to train and support local church leaders and long-term cross-cultural workers in the Middle East, Central and South Asia, East and West Africa and Latin America. Bill is also the Executive Pastor of the Evanston Vineyard. A second-generation church planter, Bill received his Bachelor’s degree from Yale University and completed his seminary training (M.Div.) at Trinity Evangelical Divinity School. Cheryll is also a Licensed Clinical Professional Counselor in private practice. She completed her undergraduate work at Trinity College (IL) and she also has a Masters of Arts in Counseling Psychology from Northwestern University. Bob is the Senior Pastor of the Ventura Vineyard, a church he planted over fifteen years ago. He also served as coordinator for the Russia Partnership. Previously he served on the staff of the Desert Vineyard in Lancaster, California and led the church planting team in Krasnoyarsk, Russia from 1992-1993. He earned an MA in theology from Fuller Seminary and currently coaches and mentors several church planters and other emerging leaders. He currently serves as the Regional Coordinator for Eastern Europe with Vineyard Missions USA. Ross is a Pastor in West Michigan. After working with YWAM for a decade, Ross served as the director of youth and family for Churchlands Vineyard Christian Fellowship in Perth, and Executive Pastor of the Lakeshore Vineyard for five years and then struck out to begin a new church plant. Now Ross juggles ministry at his church, developing coaches within an assembly manufacturing plant and part-time consulting in his company Inlive for Enneagram self-awareness training. He is spreading the vision of the Community of Hope - uniting church, youth and business for the Kingdom. He is now thoroughly enjoying being a grandfather of five. He serves as the Regional Coordinator for Asia for Vineyard Missions USA. Jim and his wife, Megan, have four adventurous children. Together they’re the Pool Party. They love living in Ferndale, an inner-ring suburb of Detroit. One of his joys right now is walking, especially if trails are involved. He’s also following in Megan’s footsteps and started the School of Spiritual Direction with Sustainable Faith. Jim is privileged to serve as the lead pastor of the Renaissance Vineyard Church and facilitates the US arm of the Vineyard Ethiopia Partnership. He currently serves as Regional Coordinator for Africa with Vineyard Missions. Jerry assists Vineyard churches in effectively sending and supporting their long-term, cross-cultural workers (LTCCWs). His responsibilities include recommending effective training for those workers, directing the Leader Care team (providing a spiritual formation focus for US LTCCWs and national leaders), connecting partnerships to counseling resources, and facilitating emergency care in overseas locations. He is currently serving as Coordinator of Caring for Leaders and Overseas Security Coordinator with Vineyard Missions. Jerry brings to this role his experience in the Vineyard since 1981, clinical practice as a counselor and psychologist, ministry as Associate Pastor of the Cherwell Vineyard (Oxford, England 1996 -1999) and many visits to cross-cultural workers around the world since 1995. Glenn Schroder has been part of the Vineyard movement since 1976 when he started attending a home group in Yorba Linda, California that eventually became the Anaheim Vineyard. Glenn served there as the youth pastor under John Wimber from 1984-1996. Glenn and his wife, Donna, then planted the Portland Vineyard in 1996, where they continue to serve. Glenn has always had a heart for youth and missions and has served as the leader for the Nicaraguan Partnership since 2005. He and Donna have 4 adult children and 4 grandchildren, all of whom live in the Portland area. He is an avid reader, enjoys kayaking with Donna, Trail Blazer basketball, and cooking - especially if it involves fire and meat. Pastor to the Village and to the Vineyard in Beaufort, SC. Prepositioning and development specialist with 30 years in initiating and sustaining compassion and justice projects both nationally and in more than 30 countries abroad, and has been consultant to international NGOs and USAid groups. He has found himself to be comfortable in the uncomfortable areas and regions of conflict, to include Central America, Eastern Europe and Africa. His heart is and has been to establish influential relationships with indigenous people groups, with the goal of promoting growth and health in all areas of life. Mark brings extensive work in team and work-force development, sustainable initiatives to tie the local church to the life of global church. He likes to say - “Compassion gets you there, the Church keeps you there.” He’s “sweetie” to one, “Dad” to three and “Papa” to two. 27 broken bones, somewhere around 500 stitches, 54 countries and owns other numbers that give color to his 52 years.